Carol Smith and Brendan Barrett ask if the recent Occupy Wall Street protests are the beginning of a Societal Rethink? Is it possible the Occupy Wall Street protests are the beginning of a group societal priority-rethink? Could this group of investors be an indication that the 1% is redeemable and not a hopeless lost greedy cause? Carol Smith and Brendan Barrett are journalists with a Green heart who work together at the UNU - Media Centre. A myth floats around among those seeking free-market solutions to climate change that insurers will be a positive force. Insurers are worried about the impact of climate on their business model. They will increase rates. Expensive insurance will drive people off the coasts. People and property won't be as affected by coastal storms. Most recently, Fast Company asked whether trillion-dollar storms will drive us off the coasts: "Just how long until large chunks of America's coastline become virtually uninsurable, starting with Lower Manhattan? Some would say this is a good thing, a perfect example of markets appropriately pricing risk and (dis-)incentivizing people accordingly." There's only one problem: This market-driven solution won't work. Insurers are worried about climate change, with good reason. A recent Ceres report found, generally, that they're ill-prepared for climate. Their model for pricing risks depends on historical models, which are meaningless in the time of the new normal. For several years Munich Re, the giant reinsurer, has been advocating for governments to do something about climate change, based on rational self-interest: If governments can prevent it from happening, then insurers won't have to pay out. Guess that didn't work out so well -- thanks, United States Senate! 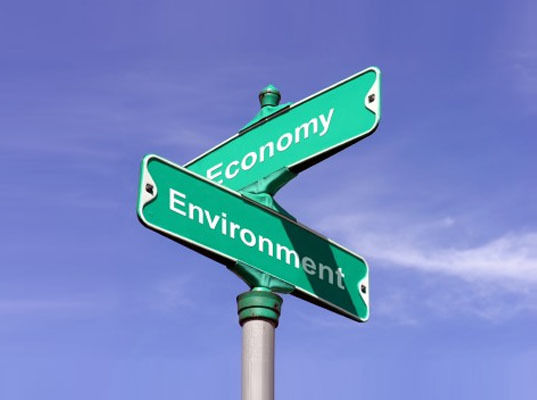 As climate mitigation seems to be failing, adaptation strategies become necessary. The first adaptation strategy will be to raise rates. Here, the free market advocates are giddy. Coastal insurance will become very expensive, so no one will live on the coasts! Yay! However, it won't work. 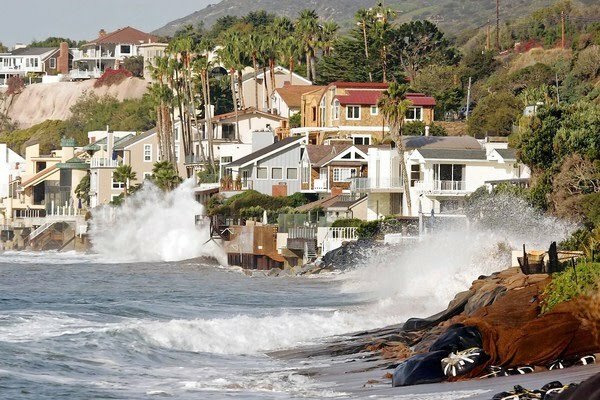 A look at two southern California coastal communities illustrates the free-market failure of insurance to deter people from living near the coast. Malibu is a notoriously high-risk area -- I joke, "Do you know what Malibu means in the Chumash language? 'Stupid people live here.'" It's prone to fires and landslides. Year after year, TV cameras cover muddy devastation, wrecked mansions, and teary-eyed residents vowing to rebuild. And, generally, they do rebuild. But they rarely do so with insurance money, because California policies don't cover landslides. Insurance in Malibu has become so expensive that many residents rely on the FAIR Plan, an insurance pool of last resort. Although California's FAIR plan was created in 1968 ostensibly to aid inner-city residents who were considered uninsurable after the 1965 Watts Riots, it now serves wealthy homeowners who have chosen to live in high-risk canyons and coastlines. And wealthy people have lobbied the state legislature for concessions in coverage. Twenty-eight states have similar plans that cover certain high-risk weather events -- brushfires in Malibu; wind and hail damage in coastal communities in Georgia and New York. FAIR Plan high premiums and limited coverage haven't deterred people from living in high-weather-risk areas so far. Another way of understanding how high premiums fail to act as a deterrent is to imagine yourself with enough money to buy your dream car -- that fire-engine-red Lotus, that 1965 Mustang, that Tesla Roadster. Insurance on that car is expensive. Does that stop you? If so, you're rare. People who can afford to live on the coast do so for reasons wholly divorced from pragmatic cost issues. In short, the free market of high insurance premiums and limited coverage hasn't deterred people from living in pricey coastal communities. Climate change will raise premiums and limit coverage, but people will still want to live in Malibu. But what of less expensive coastal communities? La Conchita is a small community sandwiched between the coast and steep, unstable mountains on the Ventura-Santa Barbara county line. A 1995 landslide buried seven homes. Property values plummeted, insurance became unaffordable, and people moved in anyway. Why did they move in? Because you could get a walk-to-beach home for $500,000 instead of the $5 million you'd spend in Santa Barbara or Malibu. The area took on a surfing haven reputation -- a little funky, a little high-risk, a lot less expensive. People moved in, paid cash, and thus weren't required to have insurance, or went onto the FAIR Plan -- again, the cost of insurance wasn't a factor. Then a second landslide in 2005 killed 10 people. The $500,000 house is now marked down to $350,000, and no one is buying it. Although no significant connection has been made between the storms of 1995 and 2005 and climate change, La Conchita may be a harbinger of what's to come: high-risk hamlets. A new OECD report finds that the two American cities most vulnerable to rising sea levels are New York and Miami. Lower Manhattan is likely to end up like Malibu -- very wealthy people willing to ignore risks -- while Miami becomes a high-risk island, cut off from the rest of Florida as a wall of saltwater moves inland. Insurance rates aren't likely to uproot people. In the medium-term (10 to 20 years), I wouldn't be surprised to see insurers attempt to restrict coverage for climate-related damage, much as has been done for mold/fungus coverage when mold became a hot-button issue in about 2001. In the long-term, the industry may not survive in its present day form. It's built on charging risks based on past patterns. But past history can't map a new normal. The property insurance industry is reeling from the storms of 2011, and the life and health insurers have barely begun to consider the likely profound impact of climate change on their mortality tables. If the federal crop insurance program has yet begun to calculate the impact of climate on its program, I haven't seen it. Perhaps we'll end up with some sort of two-tiered program in which government extends the concept of a FAIR plan (minimal coverage, high premiums) to virtually every aspect of insurance, and some wealthy people choose to pay even higher premiums for additional coverage. For now, the insurance industry shouldn't be considered a player in the search for free-market solutions to climate change.